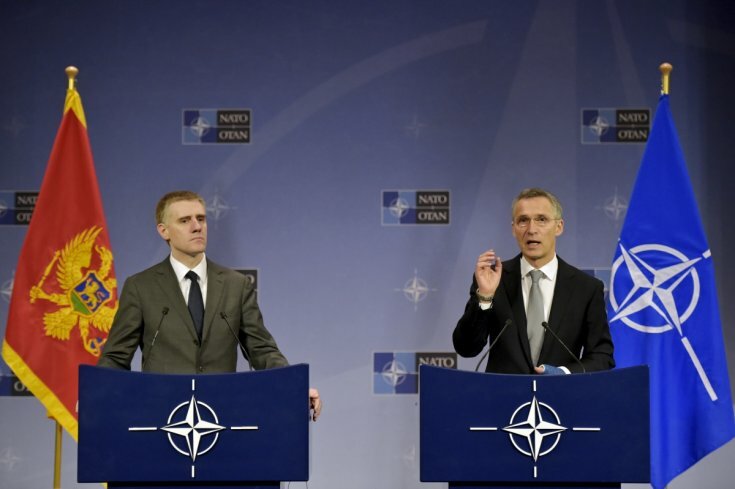 On December 2nd 2015, NATO served Montenegro with a formal invitation to become a member of the north Atlantic alliance. This move comes nine years after the country’s independence from a former union with Serbia, and sixteen years after the infamous NATO bombing of the Federal Republic of Yugoslavia, which Montenegro was then a part of. It comes after years and even decades of gradual and persistent pro-Western propaganda in the country, as well as after decades of anti-Serbian hysteria invoked as a tool of keeping the corrupt post-communist regime in power, as well as serving the geopolitical agenda of Brussels and Washington. It comes to a country with a deeply divided society, dangerously polarized economically, socially, but first and most of all, nationally. It comes to a country that has the majority of its citizens still opposed to the idea of joining the alliance. It comes to a country whose government dares not let the question of its strategic affiliation be resolved on a democratic referendum. It comes at a point in time in which the EU, and consequently NATO, find themselves in one of the most serious political and social crises in their joint history. And last, but not the least, it comes as no surprise, because no objective factor except force, political or otherwise, can stop those who deal exclusively in terms of force from achieving their long term goals. Those who do not understand this simple law of both nature and politics need an urgent wake up call. In the case of Montenegro and its geopolitical alignment, both Serbia and Russia need one. Two things need to be made clear before delving in any further analysis. The first one is that Montenegro will become a member of NATO in the very near future, and nothing can stop that from happening at this point in time. And the second is that Montenegro by itself has zero strategic importance, no geopolitical gravity and no military significance. But, when vied as an adjunct to Serbia, its historic, ethnic, economic and geographic part, things stand significantly different. The leaders of NATO know this and that is why they have put so much emphasis on incorporating into their military alliance a country with less than 2000 people in its entire defense system. Serbia and Russia, who share the same interest in keeping Montenegro out of the alliance, this being the bare minimum of their respective interests, acted as if this was not the case. The Russian decade long gambit of investing billions of dollars in the economy of Montenegro, seeking to simultaneously tie the state to Moscow, politically proved completely futile and backfired catastrophically. Ignoring the Serbian national interest in the process did not help either, in fact it made the entire endeavor of influencing Montenegro pointless from the start. On the other hand, Serbia’s lack of courage to try and improve the position of Serbian people in the neighboring countries only deepened the problem. Trying to hide the ever widening gap between Belgrade and Podgorica by engaging in diplomatic niceties was as baron as neglecting the infamous question of national identity. The West made no such mistakes. For decades, long before the country gained its independence, it influenced the creation of a Montenegrin nation, separate from and opposed to both the Serbian nation and its obvious Serbian origins. The emerging Montenegrin nationalism escaped any judgment from Europe’s leftist elites. The very preservation of Serbian national identity outside the borders of Serbia, including in Montenegro, on the other hand was met with either harsh criticism, or a deaf ear. This includes Belgrade to a large extent, and Moscow completely. The results, in the case of Montenegro, are painfully clear. All this being said, it begs the question of what future Serbian and Russian actions in this theater should be. As for Serbia, it needs to come to terms with the fact that national “Montenegrins” have lost their former Serbian identity and cannot be viewed as “brothers”. It also needs to understand that those Serbs of Montenegro who have kept their national identity need Belgrade’s help dearly in order to survive as a people, and perhaps one day regain their stolen rights. Nothing except this can be a priority when dealing with its southwestern neighbor. As for Russia, it needs to start dealing with the problem in its entirety, not only with the easiest and most appealing aspect, which was thus far the economy. It needs to accept the fact that Serbia is its only possible long term ally in the entire post-Yugoslav space. It needs to play its cards wisely, and engage the root of the problem, and that is the national identity of this once Serbian state. Only by exposing the national engineering that took place in Montenegro, and opposing its prolongation may it start to reverse its consequences. In the political post-modernism that NATO membership brings to this country, the only card anyone else could play is the Serbian card. And it can prove strong beyond belief.